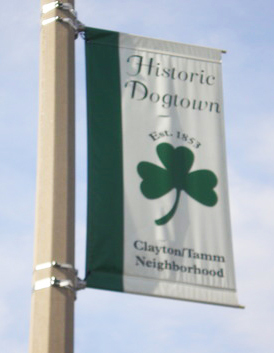 Dogtown is a traditionally Irish-American neighborhood located near the western border of St. Louis City, just south of Forest Park. The area is bordered by Hampton Avenue to the east, Manchester Road to the south, McCausland to the west and Oakland Avenue to the north. The intersecting streets of Clayon and Tamm provide the center of the area’s business district. The Clayton-Tamm district is one of three (with Franz Park and the Hi-Point) which make up this widely renowned section of St. Louis collectively called Dogtown. The neighborhood is widely known for its celebration of Irish heritage, with modest homes and apartments and several boutique shops and restaurants. 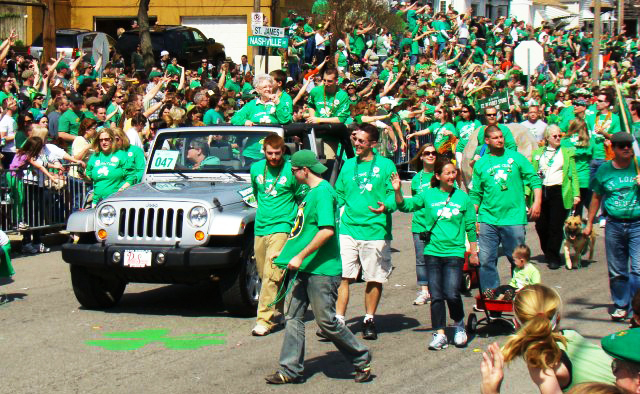 It is also host to an annual St. Patrick’s Day parade. Perhaps even better than its quaint charm is its convenient locatation near Interstates 64 and 44 and its proximity to Forest Park. The renowned St. Louis Zoo is just a couple blocks away. Also close is the main campus of Washington University, located just north on Skinker Blvd.